Offering spectacular views over Hyde Park, St Mary’s Cathedral and beyond to Sydney Harbour this 78 square meter one bedroom plus study apartment is located in The Hyde – one of Hyde Park’s most prestigious addresses. 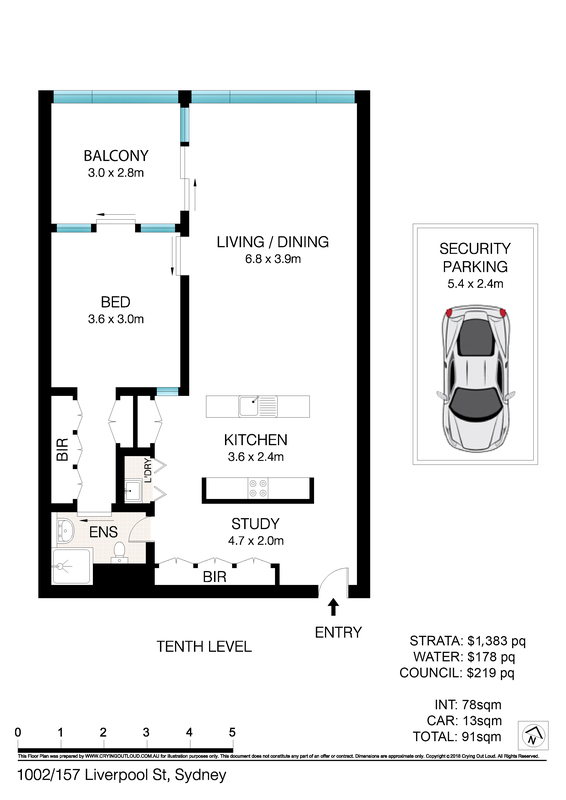 Additional features include one secure car space, air conditioning, TV & data/phone points in living room & bedroom, internal laundry & intercom access. Residents of this renowned building have the convenience of an executive 24hr concierge, 25 metre lap pool, gymnasium, sauna, barbeque area, Library, cabana & outdoor terrace. The Hyde is conveniently located close to major transport links, and is at the centre of everything that Sydney has to offer. You can easily stroll to Sydney’s galleries, museums, theatres, shops, bars & restaurants, Royal Botanical Gardens & Mrs Macquarie’s Chair, and so much more.